Visual Studio is a suite of component-based software development tools and other technologies for building powerful, high-performance applications. The Xcode IDE is at the center of the Apple development experience. Tightly integrated with the Cocoa and Cocoa Touch frameworks, Xcode is an incredibly productive environment for building amazing apps for Mac, iPhone, and iPad. 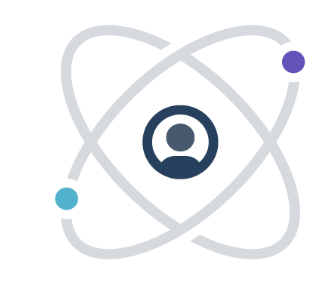 Out of the box, IntelliJ IDEA provides a comprehensive feature set including tools and integrations with the most important modern technologies and frameworks for enterprise and web development with Java, Scala, Groovy and other languages. Why do developers choose Visual Studio? Why do you like Visual Studio? Why do developers choose Xcode? Why do you like Xcode? Why do developers choose IntelliJ IDEA? Why do you like IntelliJ IDEA? What are the cons of using Visual Studio? What are the cons of using Xcode? What are the cons of using IntelliJ IDEA? How much does Visual Studio cost? How much does IntelliJ IDEA cost? What companies use Visual Studio? What companies use IntelliJ IDEA? What tools integrate with Visual Studio? What tools integrate with Xcode? What tools integrate with IntelliJ IDEA? What are some alternatives to Visual Studio, Xcode, and IntelliJ IDEA? IntelliJ IDEA 2019.1.1 is Here! We are an ASP.NET shop, so it is fitting that we use Visual Studio. The biggest advantage that VS gives us is the first-class debugger, and the ReSharper refactoring tools. We do use Sublime, Brackets, Vim, Emacs, and other editors in conjunction with VS since VS does can take a long time to load. An IDE which I use for at least ten years now. Roslyn is getting better and better, but VS Code seems better now. A bit obsolete concept, but the extra tools (like git integration, azure browsing, preset projects and solutions) makes it still very useful. PrometheanTV builds applications and services utilizing a variety of languages and technologies. The Visual Studio IDE is used by various technical staff to build software on a variety of languages supported by the IDE including C#, HTML/CSS/JS, etc. PrometheanTV builds applications and services utilizing a variety of languages and technologies. The IntelliJ IDE is used by various technical staff to build software on a variety of languages supported by the IDE including Java, HTML/CSS/JS, etc. IntelliJ IDEA is our polyglot IDE of choice. We use it esentially for all programming and coding aswell as some basic database management and planning. IntelliJ IDEA has proven to be a reliable companion in developing our various software. eclipse 를 쓰면서 이만하면 충분한거 아닌가 왜 돈내고 IDE를 사서 쓰지 했는데, 진짜 돈 값을 한다. 정말 자동화 완성 기능은 엄청난것 같다. 단축키로 이소스 저소스 넘어 다니고 이창 저창 뜨우는게 편하다. 그리고 프레임워크 서포트 기능이 장말 강력하다. 그리고 가장 맘에 드는 점은 터미널이 기본 창에 있는 점이 좋다. CMD 가 싫으면 설정을 통해 다른 터미널 프로그램으로 바꿀수 있다. been a while since i've used visual studio. developed the tools for superman returns in it. liked the debugging but not much else. only played with the newest version a couple of times. If Scala and Spring are the gods gifts in terms of programming languages and opinionated-frameworks, then JetBrain's IntelliJ IDEA is the IDE equivalent. Words don't do it justice. 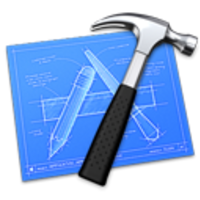 Xcode is our primary development platform for iOS applications, with a very fully featured set of dev tools for the platform. For everything else, there's Sublime Text 3. Best open source, good replacement for Visual Studio. I'm using it as my development environment in C# and Dynamics 365 Business Central (extension development). Experience with Xcode in the context of iOS development. This includes Storyboards, Debugging tools and the Simulator. QA and Testing have been so much easier with the help of its simulators on Apple Devices like; iPhones and iPads. PrometheanTV provides SDKs for IOS devices and utilizes the XCode IDE for development and testing purposes.